The Meg was one of the biggest surprise hits of the summer, with a colossal global audience helping to push the shark disaster epic to an incredibly $520 million+ ticketing total. 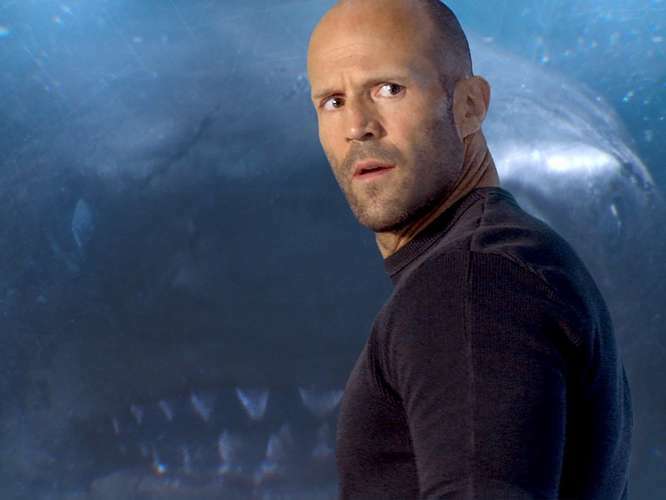 That’s an incredible figure – one that certainly isn’t bad for what many critics thought was an overgrown B-movie – but we here at One News Page loved it, and understand completely why so many chose to head out in droves to witness Jason Statham going fist-to-fin with a prehistoric monster from the deep. With that premise on paper – what’s not to like? The movie is a joint venture between US and Chinese studios and actually takes place largely in China, with sizeable local crowds helping to make up dramatic scenes where an awakened megalodon attacks a tourist beach. News at the recent US-China Entertainment Summit, which took place in LA, appears to affirm that the immense popularity and success of The Meg will very likely lead to a sequel being produced in the near future. Certainly, it’s a franchise which has legs – or should that be fins? – as the original book’s author, Steve Alten, has published a number of further adventures undertaken by Statham’s character, Jonas Taylor. Certainly, if the moviegoing public is willing to see more prehistoric shark action on the big screen, Meg 2 is very likely going to be swimming out to us by the decade’s end – with a bit of luck. Whoops – not so much a secret any more, then! In any case, there have been no official confirmations from Warner Bros with regard to a sequel, though its amazing figures overseas as well as domestically will likely give studio heads the confidence that more money can be made from another fin-tastic feature. We’d love to see a second outing – and with this year’s shark epic having been left wide open enough for another deep sea adventure to take place, there really is no reason we won’t be seeing Statham outpace another toothy menace.